We are delighted to introduce Dr. Richard Duarte, a new associate dentist at the Greenbelt, Maryland office of McCarl Dental Group. We selected Dr. Duarte after an extensive search during which we vetted more than 30 highly qualified candidates. Dr. Duarte stood out as an excellent person and dentist. He will provide outstanding care to our dental patients. 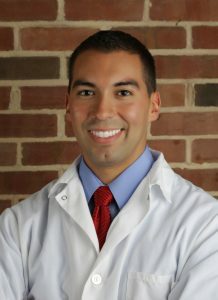 Dr. Duarte grew up in Columbia, MD and attended The University of Maryland at College Park where he received a Bachelor of Science in General Biology in 2010 with a minor in Spanish. He attended the University of Maryland School of Dentistry and received his Doctor of Dental Surgery in 2015. Dr. Duarte is finishing an Advanced Education Residency in General Dentistry at Chase Brexton Health Care Center in Baltimore through the New York University Lutheran Health System. The residency provides superior experience in the different aspects of general dentistry and is an invaluable asset in learning to provide the best possible patient care. Dr. Duarte has traveled to Central America twice on dental mission trips to provide care to those in need in Costa Rica, Honduras, and Panama. For demonstrating the highest standards of care in diagnosis and treatment of medically compromised patients. For serving 80+ hours of community service while in dental school. The Ferdinand J. S. Gorgas Odontological Honor SocietyAn honorary student dental organization for recognition of a superior grade point average and class rank. Recognition of commitment to creating an inclusive environment and bringing dental attention and education to a local community in need. An honorary student dental organization for scholarship and interest in the field of prosthetic dentistry. He is engaged to marry Claire Balkam in July 2016. They reside in Baltimore and are enjoying city life with their soft coated wheaten terrier, Ryleigh. They enjoy cheering on the O’s as well as the Terps! We know you will enjoy meeting him soon!